We’re excited to announce Flippity-Flip, our new flip table system which allows for a multitude of sizes and shapes. The mechanism grants the ability to have either a square, round or oval shaped uprights in both metal or timber finishes. Contact us for more information. Accented by strong, clean lines, Flippity-Flip’s base mirrors various top shapes with square, oval and round upright column options. The mechanism is easy to operate, can be nested and upright columns are available in metal powdercoat or timber. Mo upholstered in one of our bolder house fabric. The range considers current colour and pattern trends. The Polo’s design has been updated and can easily accommodate either a powdercoat or polished finish. Luxmy has added even more to our GECA-licenced offering. GECA is an internationally recognised ecolabelling standard assuring that products have been made with sustainable and environmentally friendly materials and processes. It is accepted as Level A by the Green Building Council of Australia and assist in meeting a variety of other green targets. Below are our new additions to our GECA certified line up. Click the images for more about the product. Funhouse hails from the LuxStudio team. These ottomans are light weight and versatile. The simple shapes combined with carefully stitched lining bring out the best of chosen fabric textures and colours. Get to know the new collection in our TestFit app which includes the ottomans in a variety of our house fabric colours. Creating a sustainable workplace has become vital to the reputation of an organisation, it’s almost no longer a choice, but instead, a necessity. With an overwhelming call across the globe to go green, it’s simply bad for business not to integrate sustainable initiatives into organisational planning. 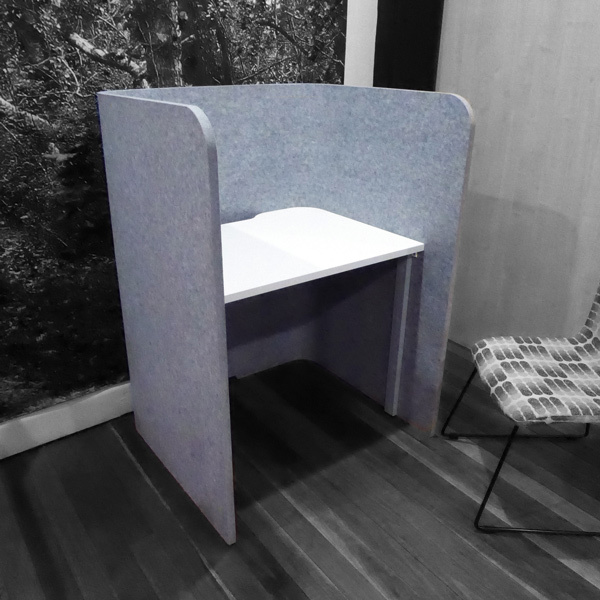 For interior designers, project managers or business leaders looking to help drive sustainability in the workplace, a good (and healthy) place to start, is with low emissions furniture. Consider the workplace; the actual size of the space, the number of employees, every piece of furniture needed to promote productivity and comfortability while also keeping a company’s brand in mind for stylistic purposes. Each piece of furniture integrated, will release substances into the air. While this isn’t necessarily something to fear, as almost everything does this, synthetic materials, or those treated with synthetic substances can be especially harmful as they contain Volatile organic compounds (VOCs). What are VOCs? We’re glad you asked! Volatile organic compounds (VOCs) are a large family of chemicals that contain carbon and hydrogen. They can be released into indoor air from a number of sources, including workplace furniture (flame retardants and formaldehyde being quite common). While some VOCs are more toxic than others, the health risks associated will depend on the levels you are exposed to, the length of time you are exposed, and your individual sensitivity to toxicity. 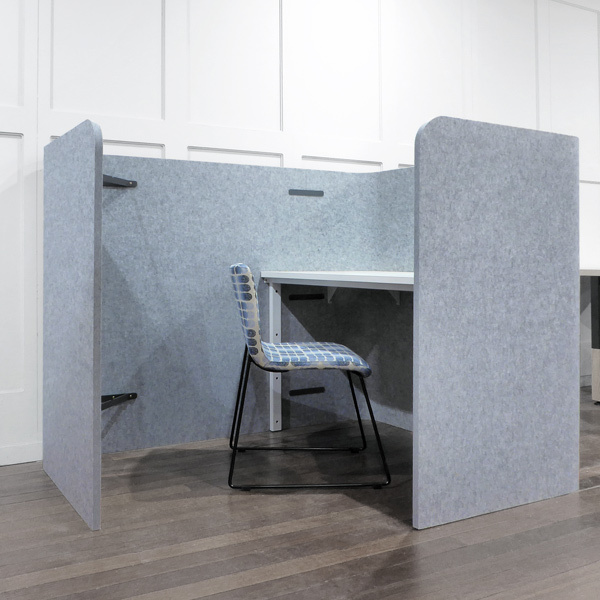 Because your risk increases with exposure, and employees are logging more hours in the office than ever – introducing low emissions (or low VOC) furniture into the workplace just makes sense on so many levels. Whether you work in an office, shop, run your own business or manage a major corporation, taking care of the environment is easier than you think. Creating a more sustainable workplace by providing optimal air quality can result in a healthier and more productive place to work, a lighter ecological footprint, a boost in staff morale and increased growth for your bottom line. It can be easy to forget about the little things in interior design like power outlet covers and door knobs. We rarely give it a second thought but that gives it all the more reason to catch our attention when it’s out of the ordinary. For some, even the furniture isn’t as planned out as it should be. It’s the details that make an office stand out from boring ones. Take the opportunity to display your great attention to detail and impress your clients by putting a little more emphasis on often overlooked furnishings. So what things should be on your checklist so that you don’t forget them? Furniture is definitely at the top of the list. However, a lot of offices drop the ball in choosing furniture for the office. Everything, from the arms to the upholstery can bring all of the design elements together. Wooden accents add a natural cozy look. You can bring a little bit of nature inside of the office in some fairly simple ways. Wooden bookshelves or chairs are great to add a bit of nature. Reclaimed wood paneling and furniture with wood accents are good ways to incorporate wood in the office. Other details to consider are the small pieces that bring everything together. Matching power outlet covers and door hinges to light switch covers and door knobs can really bring everything together. 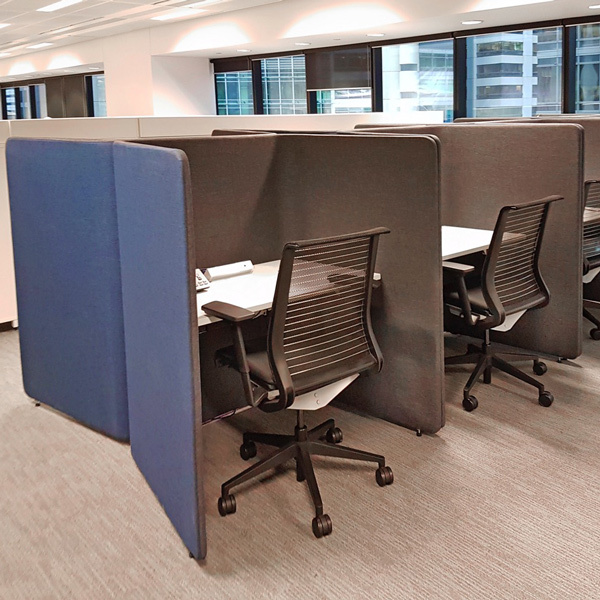 Show off your attention to detail by focusing on the little things that bring your office design together. Putting more emphasis on the finishing pieces can make a huge difference in the way your office looks. Impress more clients with the look that these little changes can make.